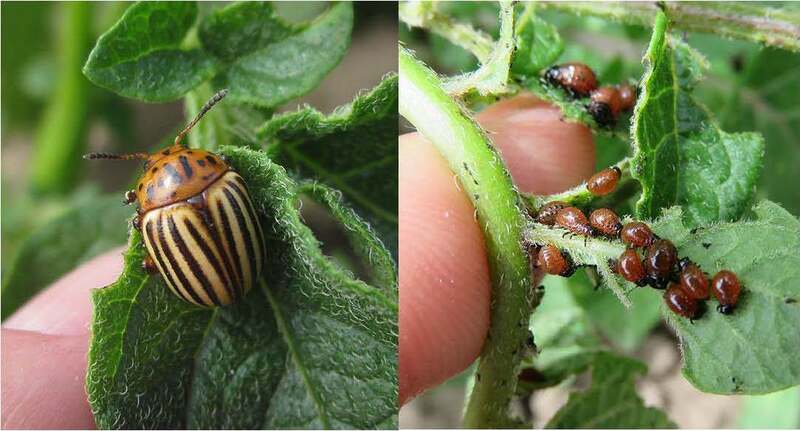 Anyone who has tried to grow their own tasty potatoes has probably run into the ravages of the dreaded ‘potato bug,’ which often devours your potato vines before your tubers even had a chance! This black and yellow striped adult beetle (and its brick red, hump-backed young) is actually the Colorado potato beetle. 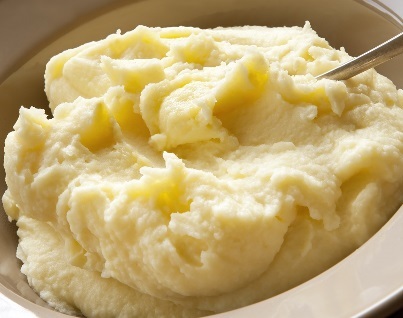 It originated in Mexico and was innocuously living on buffalo burr plant in the arid prairies of the Western United States when early settlers introduced a new miracle food to the area—the cultivated potato. These beetles just loved this new nutritious food that settlers were now planting for them, and they adapted fast and began multiplying at astonishing rates, spreading eastward and devouring potatoes wherever they found them. They even managed to cross the Atlantic and became the scourge of potato growers across Europe and Asia! This potato-eating machine quickly became the number one insect potato pest worldwide.